NewsFrames participatory knowledge comes from bringing people, data, tools, and methods together. The NewsFrames platform enables this combination through the collaborative writing of stories about media analysis on a number of topics. Before you begin, consider inviting a partner to your exploration. One of our key methods is adding another person to your investigation, one who has a different perspective or expertise and can make your story more accurate and compelling. 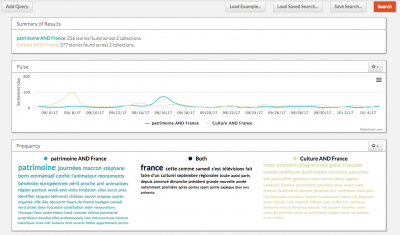 To dive into exploration more directly, feel free to look at the platform guides which also include description of the media analysis tools that NewsFrames currently offers. A shortcut to our methods is available through our checklists, which are also included below. Data doesn't just speak on its own: raw data and analytical tools require human review and interpretation. Working on remote, distributed teams can make the prospect of following processes even tougher. 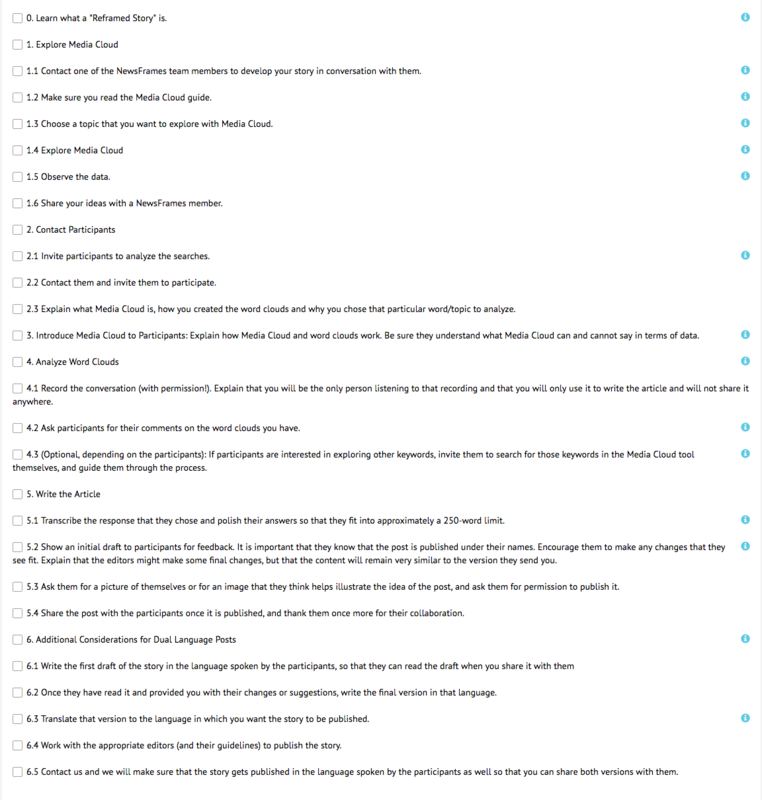 These checklists are meant to work together with our story writing guides below. They are always under development, so please contact your NewsFrames team member if you are interested in adding to the list. These three lessons are designed to help learners develop media and information literacy skills while engaging with the NewsFrames platform and associated tools, methods, and concepts. Learners will strengthen their skills in searching, evaluating information, analyzing media frames, developing research strategies, and synthesizing research. In these lessons learners will gain experience in utilizing large data sets in their research and will gain a deeper understanding of framing in media. Start working on the curriculum here. There you can also find a link to the Mission:Information Portal to see more curriculum devoted to media literacy education, and education around misinformation. If you're new to NewsFrames and media analysis, starting out with a NewsFrames Media Exploration is a great way to get your feet wet and discover some of the basic principles behind the creation of certain NewsFrames stories. As a beginning exercise, a Media Exploration is also an opportunity to discover something new about the way the media frames certain topics and for you to develop questions that may guide you towards interesting insights. Media Explorations also help you determine if an idea “has legs” and is either worth exploring more or doesn’t have enough data to support conclusions. If you want to continue, your ideas might have the potential to become a great story. Check in with an NewsFrames Lead to talk about the next steps! This short guide will help you participate in building or helping refine a media environment for a specific country. It also may be used to support your research using the Media Cloud tool, through our partnership with them. As always, if you have any questions, be sure to contact someone on the NewsFrames team. What is a Media Environment? For NewsFrames, a Media Environment is the sphere of published discussions pertaining to a certain country by its citizens. 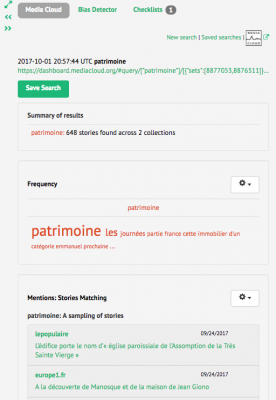 In order to help establish good source lists to be used in the NewsFrames project, we are trying to capture the diversity of media publications. The list for each Media Environment is a starting point: it is meant to be dynamic. To the extent that it’s possible, we will explore other tools/data in order to amplify and correct our initial assumptions. First of all, thank you for making time to participate. The process of building Media Environments is itself a work in progress, so things may feel a little experimental. We hope to incorporate your thoughts as we make this into a regular thing, so please give us your feedback. First, a NewsFrames team member will invite you to a working spreadsheet for your country’s media environment which may already be populated with data. Add new sources to the list: Once you receive the spreadsheet, add a source to the list. Note the language: Note what language it is published in. For example, if there are multiple languages for the outlet at the exact same URL, then include all of them. But if there are slightly different URLs for each different language, please add all of the different URLs/languages (we need to be able to collect the data where it resides). Have we captured a number of the country's diverse audiences? The way we are doing this is to try to look at media publications from the perspective of audience: can we make hypotheses about what audiences are being targeted, if any? If you can tell from the vocabulary, language, topics, or express mission of the organization that the media outlet is “focused” in some way, then select accordingly and also put an example of why you decided it was focused. If you don’t think that it is focused in any of these ways, leave blank. The baseline categories above may not be relevant for your country, but we feel that they are broad enough to capture audience categories for many countries. Note further country categorizations: There may be a second level of country specific categorizations that are added just for that country. Please follow the same process as in step 3. There is a space for you to add additional category considerations, especially if there is a category type that isn’t represented by the spreadsheet. Let us know if there are any major updates: If there is a major update, please contact someone on the NewsFrames team, thanks! This is an example of a NewsFrames Exploration Outline (for in-depth information about the NewsFrames exploration process, look at this section. We are interested in exploring the term “teens” – How are teens being represented in the media? Is there a difference between the representation of teens, youth or adolescents? In this case, we have brainstormed these terms: youth; teens; adolescents; Youth AND teens AND adolescents; Youth AND Teens; Teens AND Adolescents. Next, we'll use Explorer to explore media searches and document your results. Step 1) Write 1-2 sentences explaining the main point of the story. Think about the information you found in your search. What themes or ideas are you going to write about? Write 1-2 sentences explaining the main point of the story. EXAMPLE: In this first story in our new WordFrames series, we explore media conversations about teens and examine whether or not the coverage around these topics varied in comparison to other terms like adolescent and youth. How is the media framing issues around young people and does that framing have any effect on the way we think about teenagers? *Tip: It never hurts to discuss your idea with someone on the NewsFrames team. Step 2) Think about the NewsFrames story type that you want to write. In this case, we're going to use the ‘WordFrames’ story type. Someone on the NewsFrames team can help you figure out which article is right for you. It will take about 1200-1500 words to cover this material. The keywords used to reference “Adolescent and Youth and Teen” have a common thread that links them which are words with relatively negative connotations like abuse, suicide and crimes. Whereas the keywords associated with Adolescent seem basically neutral or academic in tone and the keywords associated with Youth also seem neutral or reference civic engagement. *Tip: Once again, it never hurts to get some insights from someone on the NewsFrames team. The search for teen brings up keywords with relatively negative connotations across the board. The articles about these keywords reference a general sensation of either a fear for teens or a fear for teens which is a strange/interesting trend. What do you think when you hear the word teen? For many people, teens are a complete mystery. It is an age group that is often talked about and frequently misunderstood, especially by those of us who are no longer teens. In this first story in our new WordFrames series, we explore media conversations about teens and examine whether or not the coverage around these topics varied in comparison to other terms like adolescent and youth. How is the media framing issues around young people and does that framing have any effect on the way we think about teenagers? Analysis of Teen Word Cloud and teen article examples. You'll want to wind up with an overall analysis and conclusion, which includes, for example, general observations about the differences and similarities between the use of the word teens. Once you've finished the first draft, send to an editor for review. For more in-depth information about the NewsFrames exploration process follow this link). As always, if you have any questions, contact NewsFrames on Slack. If you aren't set up with Slack yet, use the contact form and one of us will get back to you to help you out. What is a Reframed Story? The Reframed Stories series is part of the Rising Frames initiative, a collaboration between NewsFrames and Rising Voices that applies the tools and skills of data analysis to explore how media is covering topics and issues that are relevant for marginalized groups, such as indigenous communities, to then collaborate with these groups to respond to media coverage from their perspectives. We aim to provide a space for people (who are often more represented by others than by themselves in media) to tell their own stories. To write a Reframed Story, you use the Media Cloud tool to create word clouds such as this one, which will help you understand how media is covering a topic that interests you and a community. Then, you invite members from that community to comment on what they see. Step 1. Contact one of the NewsFrames team members to develop your story in conversation with them. Media Cloud is an open source platform developed by the MIT Center for Civic Media and the Harvard Berkman Klein Center for Internet and Society. Media Cloud is designed to aggregate, analyze, deliver and visualize information while answering complex quantitative and qualitative questions about the content of online media. Step 2. Make sure you read the Media Cloud guide. Step 3. Choose a topic that you want to explore with Media Cloud. Hint: To choose your topic, think of something that you are familiar with, and that you would be curious to analyze more in detail. When you have decided on your broad topic, think of possible key terms associated with it. Hint: Don’t be afraid of running multiple searches and changing your key terms as you keep exploring. 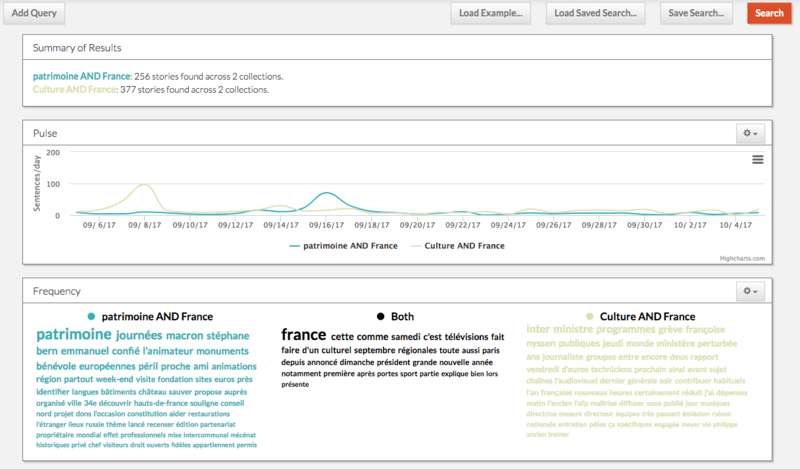 Play around with the parameters of your search (synonyms, time periods, media sources) to see what comes up. Hint: See an interesting word in your word cloud? Click on it! When you do, a new word cloud with that term will populate. Hint: Save the searches that interest you the most into your NewsFrames project and download the .csv files. Step 5. Observe the data. Hint: Think of the general themes that you are seeing in the different searches you are doing. Is there something that is repeated across the searches? Is there a word that surprises you to see or not to see in the word clouds? What do you think this means? What questions do these observations bring to you? Hint: Jot down your general ideas about those searches so that you don’t forget them. Step 6: Share your ideas with a NewsFrames member. Step 1: Invite participants to analyze the searches. Hint: Find people who you consider could have interesting insights on the word cloud; people who are represented by the media when it covers that topic. Step 2: Contact them and invite them to participate. Step 3: Explain what Media Cloud is, how you created the word clouds and why you chose that particular word/topic to analyze. Step 1: Explain how Media Cloud and word clouds work. Be sure they understand what Media Cloud can and cannot say in terms of data. Hint: If you need help with this, check the Media Cloud guide or ask your friendly NewsFrames team member what this means. Word Clouds help us understand how the conversation around a topic may be shaped. They are made up of keywords that appear frequently alongside specific search terms. The larger the word in a word cloud, the more often it appears in the Media Cloud database sample of news reports, blogs, and other media. Step 1: Record the conversation (with permission!). Explain that you will be the only person listening to that recording and that you will only use it to write the article and will not share it anywhere. Step 2: Ask participants for their comments on the word clouds you have. Hint: Remember that you don’t need to tell them about your own thoughts about the word clouds. Ask them for their own perspective of what they are seeing, starting with general observations. What do you think when looking at this image? What does this tell you about the way in which media is talking about you or the topics that affect you? Is something here that surprises you? Are there other words that you think would be worth exploring when analyzing the media coverage of this topic? 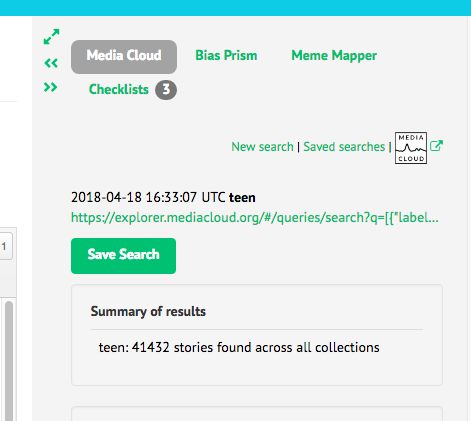 Step 3 (Optional, depending on the participants): If participants are interested in exploring other keywords, invite them to search for those keywords in the Media Cloud tool themselves, and guide them through the process. Hint: Don’t forget to save your searches into NewsFrames and to ask them for their comments. Ask them which word cloud they would like to focus on to write the article. Step 1: Transcribe the response that they chose and polish their answers so that they fit into approximately a 250-word limit. Hint: The 250-word limit is not set in stone. Reframed Stories are inspired by social media and we would prefer them to be concise; however, if you feel that there is something else that needs to be said, the format can be a little longer. Step 2: Show an initial draft to participants for feedback. It is important that they know that the post is published under their names. Encourage them to make any changes that they see fit. Explain that the editors might make some final changes, but that the content will remain very similar to the version they send you. Hint: After they send you their feedback, you may make some minor changes, but try to respect their own words as much as possible — this is *their* post. Step 3: Ask them for a picture of themselves or for an image that they think helps illustrate the idea of the post, and ask them for permission to publish it. Step 4: Share the post with the participants once it is published, and thank them once more for their collaboration. Step 2: Once they have read it and provided you with their changes or suggestions, write the final version in that language. Step 3: Translate that version to the language in which you want the story to be published. Hint: Try to translate the exact words used by participants as much as possible. However, you may make minor changes if that improves the flow of the text in the language you are writing. Step 4: Work with the appropriate editors (and their guidelines) to publish the story. Step 5: Contact us and we will make sure that the story gets published in the language spoken by the participants as well so that you can share both versions with them. If you have any questions, please contact us at newsframes@globalvoices.org. We will be happy to walk you through this process. What is this all about? We have some tools that give us an opportunity to explore cultural topics and challenge our own ideas in a way that would never have been possible before by working with a very large amount of data. This guide aims to help you through the process of writing a post for Culture Shots, in which we explore how cultural topics are framed by media outlets in different countries and languages. It is qualitative and discovery-driven — we are sharing our beginning discovery of the diverse landscape around cultural concepts in media. The Culture Shot, in other words, is a first good step towards questions about culture and media. Deeper, more quantitative conclusions about cultural framing in media would require additional sets of data with more rigorous analysis; contact your NewsFrames Team member for more information if interested. The main requirement is your interest in data journalism and how mass media talks about culture! It’s helpful to have some experience with spreadsheet software (e.g. Excel) and WordPress, but not absolutely required. Contact a member of the NewsFrames team to get an account on NewsFrames, where you will be able to create a space for work and shared projects, and create an account on Media Cloud, a tool that helps us work with collections of media posts. At the moment, understanding English is needed to get familiar with NewsFrames and Media Cloud tools. An introductory training session with a member of the NewsFrames team or with experienced members of the GV community is highly advisable — feel free to reach out. Choose a topic.Try starting from some simple intercultural terms – family, love, religion, death, marriage, culture, children, travel, cuisine, fashion, race, work, aging, balance, celebration, tragedy, fun/funny, men/women/gender, technology, communication…Go through some recent news reports in the media you’re investigating and see if cultural topics emerge that you would like to explore; while you are thinking about your post, be attentive when reading your morning/evening news, Twitter feeds etc. – it may well be that something gets you particularly interested.Discuss your choices with Connie or other members of the NewsFrames team to get some feedback. Run the Media Cloud query. When you start, try your first query by putting a keyword in the Media Cloud textbox within NewsFrames. Work more with the Media Cloud queries. Choose one or more media collections from Media Cloud. The easiest way to do this is to type a keyword in the search box, e.g. “France”, and select the relevant collection or collections. 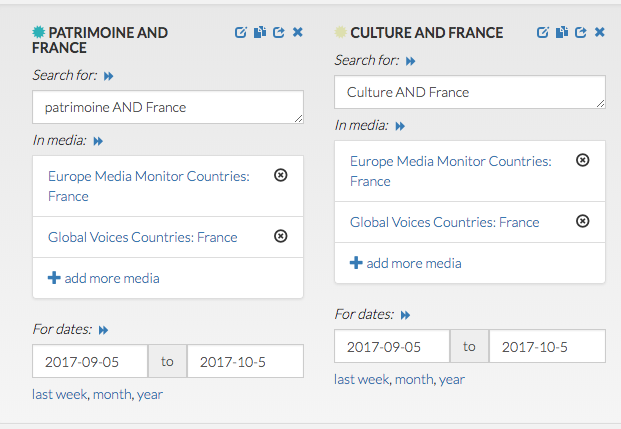 Possibly, add a query on Global Voices collection for comparison (note that GV collection may not be relevant if you are investigating only mass media outlets, as it contains a lot of blogs, NGOs’ websites etc.). Choose the interval of dates – try choosing different time periods (1, 3, 6, 12 months…) to see what changes over the time before choosing the one you'll focus on! Save the queries at the NewsFrames dashboard to be retained, in order to “secure” or “stabilize” them (more help on saving here). Pick relevant keywords or ones that repeat a lot! Pick words that STAND OUT + and explore words that can be merged in one topic as one. Try to address your own biases, motivations, and limitations as you explore this story. Note that if you click on any word in a tag cloud, you get a list of all posts found that contain that word to browse through them. IMPORTANT: if you’re not sure about something at any point, don’t hesitate to contact your NewsFrames lead. For each keyword that you choose to cover in the post, pick an article or two to illustrate with a title and an excerpt sentence. Have a conversation with your NewsFrames contact on the above choices. Write out a plan, write the post, either in the NewsFrames space or in WordPress, add quotes from relevant articles. Pick a photo for the top of the article (public domain or CC licensed). The insertion of the cloud of highlighted terms is done by Connie, but she may need your help. Close with Global Voices stories connected with themes that you explore in the post: are there stories that challenge the framing in the media we've chosen to look at? When the article is finalized, send to the editorial team for final proofreading and green light before publishing. Photo by stevepb via Pixabay. CC0 Creative Commons. The WordFrames series explores media conversations around related word groups, comparing and contrasting their use and possible meaning in public discussions. 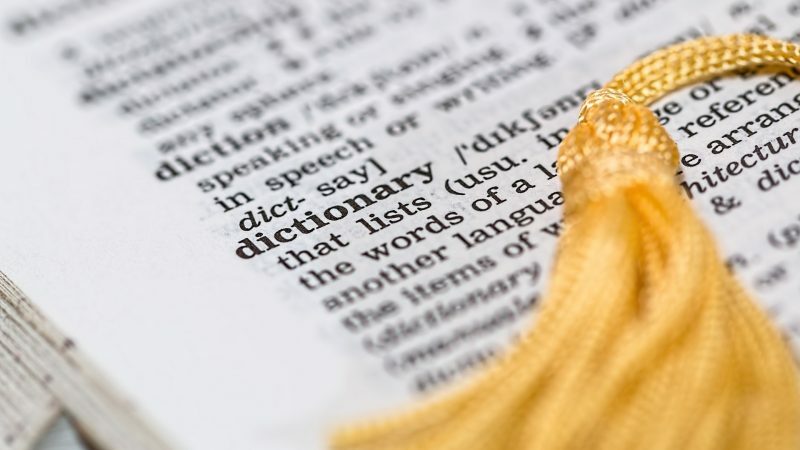 With a WordFrames post, we are exploring the connotations, underlying meaning and possible biases that exist in different words and their derivatives as seen in media conversations around specific topics. We use data analysis tools to gain insight into how these words are used by the media and how their use might frame our perception. Please take a look at some of our published stories to get a better idea about how we are using this series to discuss issues around word framing. A NewsFrames team member will help you get an account on NewsFrames, where you will be able to create a space for work and shared projects. They will also help you create an account on Media Cloud, a tool that helps us work with collections of media posts. Are there any words or word pairs that you are interested in exploring? One past post explored the terms youth, teens and adolescents and another looked at migrants, refugees and immigrants. For your WordFrames post, think of words and conversations around those words that pique your interest as you read the news. An example could include looking at Left-wing, Liberal and Blue states within the context of US politics. Let’s say you are interested in learning more about the conversation around teens vs. youth, to begin your search, plug in the term “teen” into the first query search field and “youth” into the second query search field. Decide on the dates you are interested in exploring as well as the media cloud collection you would like to learn more about. Media Explorer Query of the term “teen” and “youth” from 3/17/17 – 4/17/18 in U.S. Top Online News Sources. Don’t be afraid of running multiple searches and changing your key terms as you keep exploring. See an interesting word in your word cloud? Click on it! When you do, a new word cloud with that term will populate. Word Cloud of keywords from the term “teen”. Query from 3/17/17 – 4/17/18 in U.S. Top Online News Sources. Save queries on the right side of the NewsFrames screen, in the MediaCloud section. See how to save queries here. Think of the general themes that you are seeing in the different searches you are doing. Is there something that is repeated across the searches? Is there a word that surprises you to see or not to see in the word clouds? What do you think this means? What questions do these observations bring to you? Jot down your general ideas about those searches so that you don’t forget them. This word cloud represents topics that appear alongside the term “teen” in order of prevalence in a sampling of stories from the Media Cloud of ABYZ Global English Sources for “teen” from July 2017- February 2018 (original story). The highlighted keywords are examples of a myriad of negatively charged terms in relation to “teen” that populated in the authors’ search. If your search also brings up interesting trends, they could potentially make up the foundation of an interesting post. However, it is not always what the word cloud is saying that is important, but also what is missing from the word cloud that could be fodder for interesting insights. An example of this comes from a Reframed post written by Abigail Gualinga about indigenous youth in Ecuadorian news coverage. Dominant words in stories including the term ‘indígena’ between January 2016 and January 2017 in Ecuador’s Spanish-language media outlets. [Source: Media Cloud] (larger image). In this word cloud, Abagail noted that the term “youth” was entirely missing from the picture and could denote a lack of coverage about indigenous youth in media. **Bias Prism and Meme Mapper are both media analysis tools that help us have a better understanding about the way media frames different topics. The Bias Prism tool aims to offer more precise ways of thinking about the presence of perspective or bias in statements. Rather than producing a “biased/not biased” result, researchers are able to analyze texts through a number of considerations such as sentiment or expressions of doubt. Meme Mapper will help us to track how memes spread on the internet. This tool will facilitate the process of identifying when and where an image is published originally and how it turns into a meme. If you are unsure about whether or not the data you have found is strong enough to become a post, contact your NF lead who can help guide you. Finding patterns in data is a fun but challenging process, so don’t be discouraged! What are the main paragraphs going to be about? Follow this link to see what an example outline looks like. 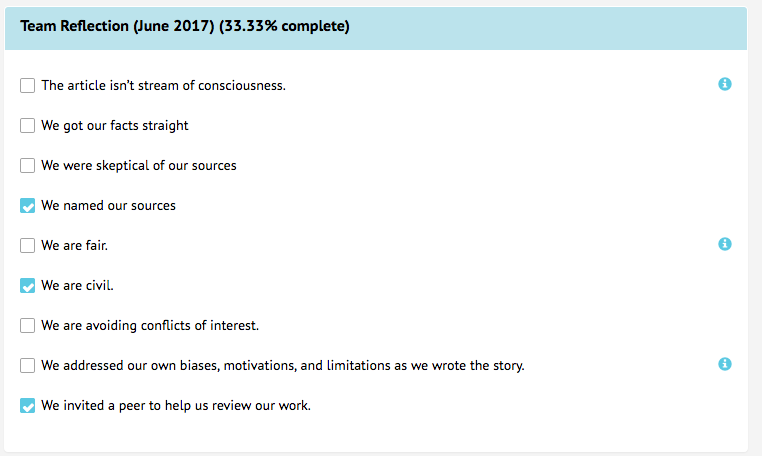 Send finished outline to NF Lead and begin writing and feedback process! If you have any questions about how to write a WordFrames post, please contact any one of the NewsFrames leads and we would be happy to help get you started. Global Voices have a number of guides that explain how to write and translate for us. We've included a few checklists based on these processes as helpful reminders of how to approach a story. 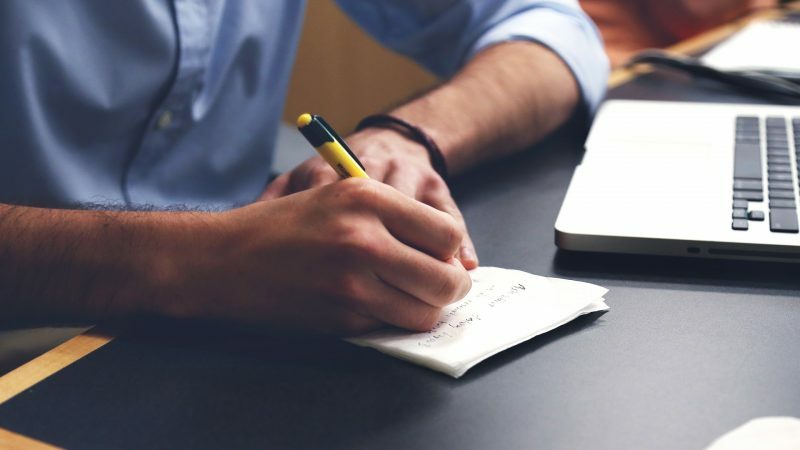 This list incorporates best practices on writing ethically with accuracy, as described in Global Voices’ Editorial Code or in reflective methods related to qualitative research. 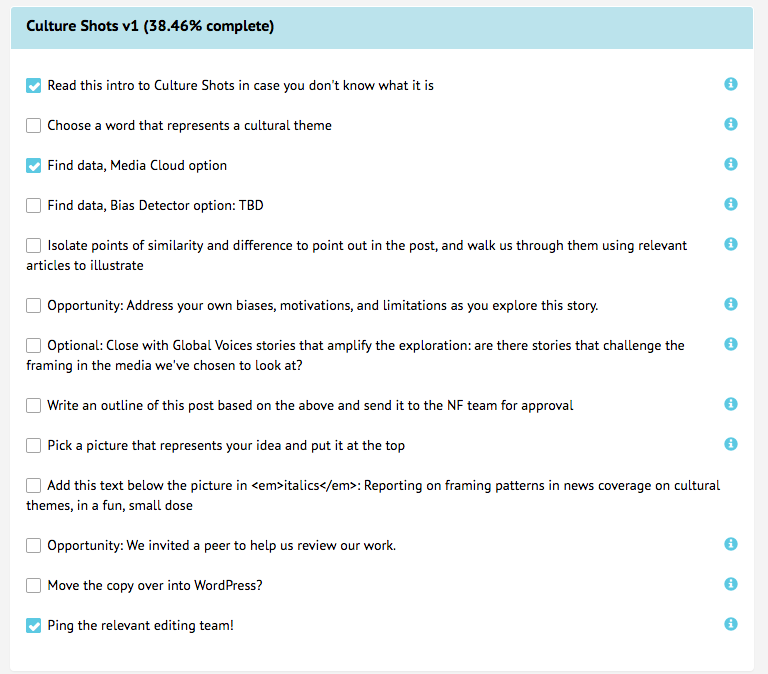 Culture Shots are capsule reports that look at how attitudes, customs, and beliefs manifest themselves in news coverage. We ask questions about how conversations around certain topics are framed and what that framing might mean. You can find out how to write a Culture Shot here. More about how to write a Reframed Story is here.